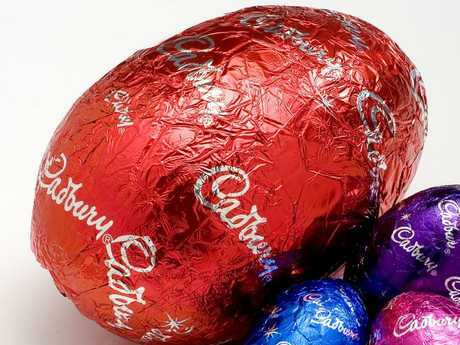 How many calories are in your Easter eggs? EASTER is just around the corner which means families around the country are preparing for their annual chocolate binge. But how many calories are there lurking in your favourite treats? And, how long will it take to burn them off? We've rounded up seven of the Australia's most popular Easter eggs on the market to find out, and based the evaluation on a 35-year-old woman weighing 71 kilos and 161cm in height. No treasure hunt is complete without Cadbury's solid Easter eggs. The 125g bag of treats has 15 eggs per packet. With each tiny egg containing 150kJ, that's around 2250 kJ if you eat every single one. Doing a very energetic hour of Zumba would help you shed around 2092kj, and you'd still have more to go! 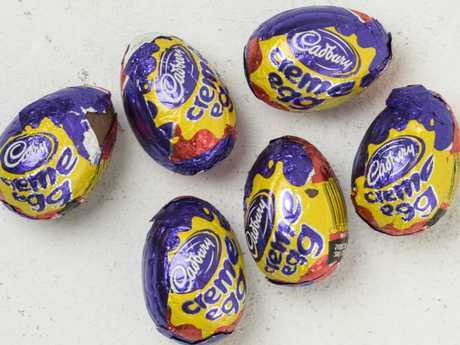 With its gooey centre and milk chocolate shell, the Cadbury Creme egg is an Easter tradition that's loved by most of the country. But while they may look small, a Creme Egg packs quite a kilojoule punch - thanks to the fondant centre. Containing 627kj, 6g of fat and 20g of sugar - to burn off a single crème egg you're looking at almost 20 minutes of skipping, a jog for 19 minutes or even a brisk 35 minute walk. 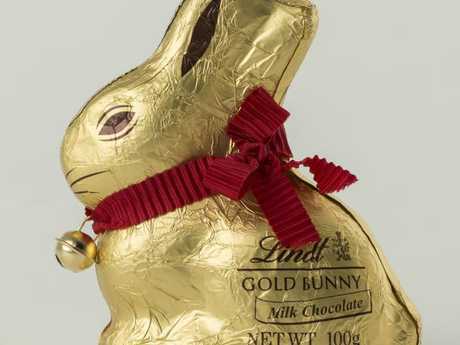 He's pretty cute, but the 100g Lindt Gold Bunny will have you walking for hours to burn off the kilojoules. The average woman would need to walk on the treadmill for around 2hr 16min to burn off the 2272kJ, while men would need 1hr 46min at the same pace. If you don't quite have the time, opt for a run instead - which will bring the workout time down to 58 minutes for women, and 45 minutes for men. The Milk Chocolate Golden Bunny has 33g of fat, 49g of sugar and exceeds the daily intake of saturated fat by almost 20 per cent. 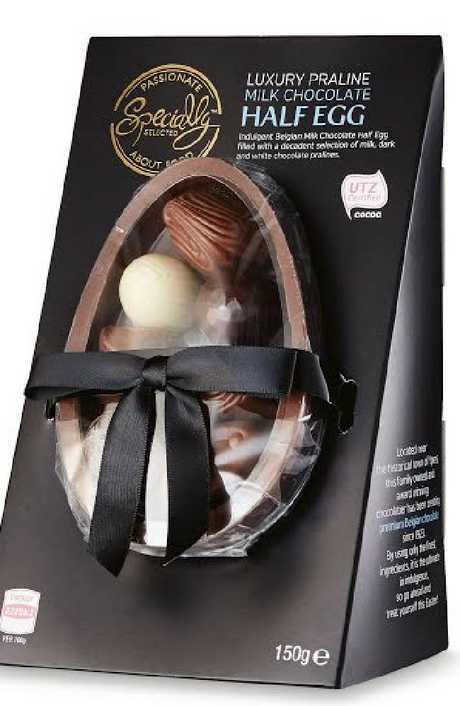 ALDI is famous for its chocolate selections, but this ALDI egg contains 3108kj and 69g grams of sugar, which is almost three times the World Health Organisation's recommended daily added sugar intake. 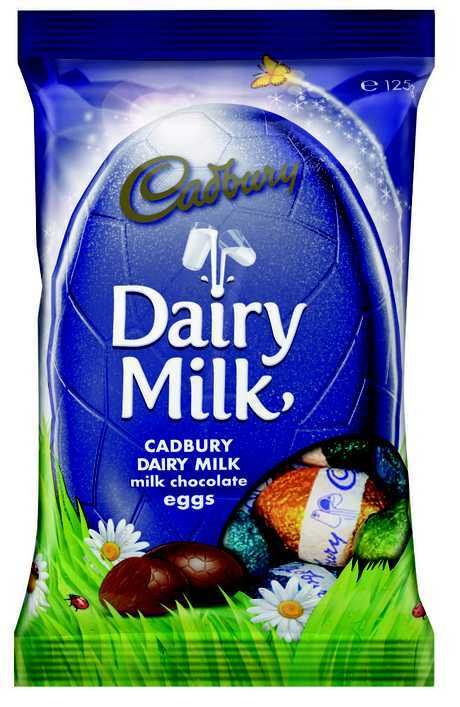 Containing 2355kJ, 31.1g of fat and almost 60g of sugar, Cadbury's 105g hollow Easter egg will take 65 minutes of cycling, more than 60 minutes in a HIIT class or at least an hour and a half in pilates. 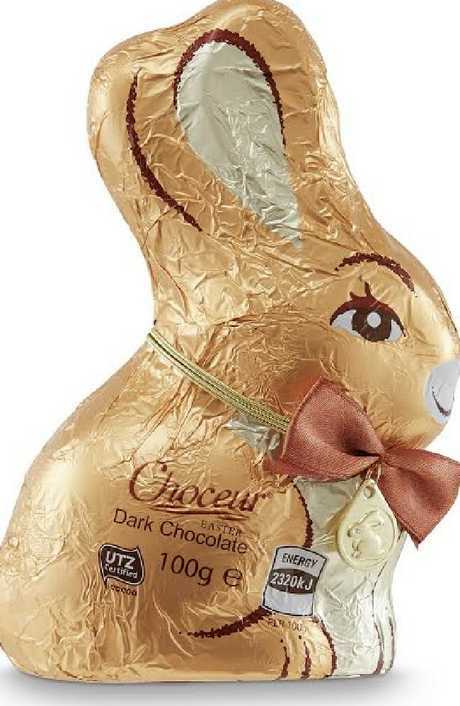 ALDI's version of the popular gold bunny contains 2320kj and 40.4g of sugar. 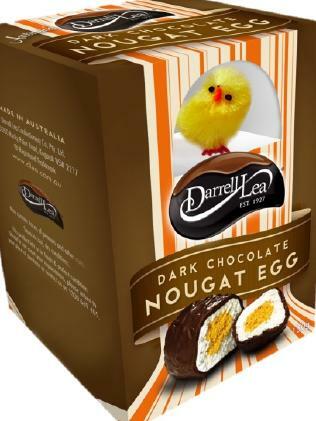 Created in the 1950s, the Darrel Lea Milk Chocolate Nougat Egg contains 2724kJ if you consume the entire egg yourself, and a whopping 82.2 g of sugar. Brace yourself for one hour of swimming, more than 60 minutes of jogging or 45 minutes of rowing to burn this sweet treat off. Oh, and just because it contains fruit - don't think you're doing yourself any favours if you opt for a Hot Cross Bun.